Once your senior loved one has been diagnosed with Alzheimer’s disease, your family needs to stick together. Navigating the realities of an Alzheimer’s diagnosis may not be easy. Here are seven steps you should take after your loved one receives an Alzheimer’s diagnosis. After an Alzheimer’s diagnosis, start researching the condition. Most people know Alzheimer’s disease is an incurable condition that causes memory loss. However, there’s much more to know, and possessing knowledge is the ideal way to prepare for the ups and downs of Alzheimer’s disease. Turn to books and online resources to learn more, reach out to friends who have family members affected by Alzheimer’s disease, or join a support group. For many families in Portland, Maine, Alzheimer’s care is an essential component of helping their elderly loved ones remain healthy, safe, and happy in the comfort of home. From cognitive stimulation to help with tasks like meal prep, light housekeeping, and transportation, the caregivers at Home Care Assistance are the top choice for families who cannot provide the Alzheimer’s care their aging loved ones need and deserve. Going forward, you may need to access your loved one’s legal documents. After a diagnosis, gather and organize important documents such as healthcare directives, social security information, mortgage papers, last will and testament, and birth certificates. It’s important to plan for medical, legal, and financial concerns. 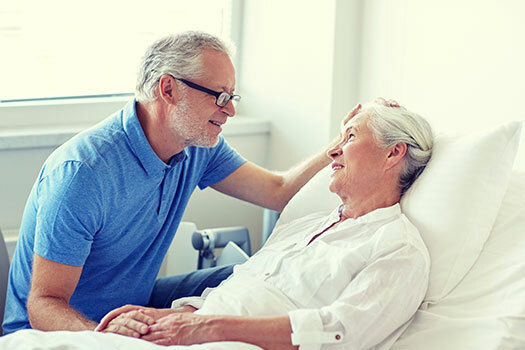 If your loved one is still in the initial stages of Alzheimer’s disease, he or she may be able to assist with the planning, which can be comforting to you and other family members. Your loved one may need to complete power of attorney documents and specify which family member will be responsible for financial management. To keep your loved one safe, you may have take a few home safety measures. Floors should be clutter-free, medications should be organized and stored safely, door locks should be out of sight, and kitchen hazards should be removed. These precautions may not be necessary until the later stages of Alzheimer’s disease, but it’s always better to be safe than sorry. If you want your loved one to live at home for as long as possible, professional home care may be necessary. In-home care provides seniors with individualized care. Research local care options, and ask your loved one loved one about his or her care preferences. When searching for reliable Portland home care agencies, families want to know their senior loved one will be well taken care of. At Home Care Assistance, our expertly trained caregivers are available around the clock to assist with tasks around the house, provide transportation to medical appointments and social events, and much more. While Alzheimer’s disease can’t be reversed, the symptoms can be mitigated with effective treatment methods. Help your loved one give up unhealthy habits that speed up cognitive decline, and encourage him or her to switch to a brain-healthy diet, engage in regular exercise, and play brain games. When caring for a senior loved one with Alzheimer’s disease, there are several responsibilities. At the beginning of the caregiving journey, family members should apportion the caregiving duties. One family member may be the primary caregiver, while another may have weekend duties. By coming to terms with the allocation of duties early in the process, you can prevent arguments. Alzheimer’s disease is just one of the many serious health issues that could impact your loved one’s activity levels, independence, and overall quality of life. If your senior loved one has been diagnosed with a serious condition and needs help with tasks like meal prep, transportation, bathing, and grooming, reach out to Home Care Assistance, a home care provider Portland, ME, families can trust. We also offer comprehensive care for seniors with dementia, Alzheimer’s, and Parkinson’s. To learn about our high-quality in-home care plans, call us at (207) 835-4849 today.